“Much to the dismay of the Vatican”? Sounds like a Dan Brown mystery waiting to unfold right in your browser, right? Read on and see just how ridiculous this hoax is. First of all, the so-called Gospel of Barnabas is old news in the Muslim world. It has been used by half-informed du`at missionaries for centuries to argue such stock theology as the crucifixion of Jesus never having happened. The text bends over backwards to emulate normative interpretations of the Qur’anic passages relating to the crucifixion. It is, without question, one of the easiest identifiable forgeries ever seen in the field of Near Eastern Religious Studies, Christian Origins and Historical Jesus Studies. 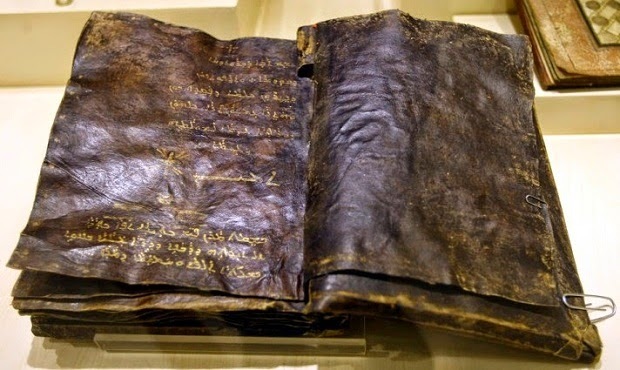 In an attempt to lend credence to the fictitious internet hoax, a report by The National Turk has been used by these viral articles to conflate an Ancient Bible written in the Aramaic dialect of Syriac that was recently rediscovered in Turkey. What the National Turk reports is more or less reasonable to believe. But the Syriac Bible found does not contain the Gospel of Barnabas. For those who were previously unaware of the work, the Gospel of Barnabas is a late, pseudepigraphical text depicting the life of Jesus, and claiming to be written by Jesus’ disciple Barnabas. In the canonical Christian Bible, however, Barnabas is not a disciple of Jesus, but a friend of Paul, who the Gospel of Barnabas is actually not much of a fan of. In this work, however, he is set as one of the twelve apostles. Two manuscripts of this work have existed, but both date to the late 16th century and are written respectively in Italian and in Spanish, not in Syriac. I repeat, there is no version of the Gospel of Barnabas written in Syriac. Finally, there is not one source from any journal of Near Eastern Religions or History that makes any reference to such a find. Why? Because it’s all some giant conspiracy? No. Sorry, but religious scholars are largely secular historians, not religious believers. We would delight at such a find, no matter how controversial it’s context. We certainly did with the Gospel of Judas. The reason why no one is talking about this “discovery” is because it was made up by bloggers. Plain and simply, it doesn’t exist. This article was republished from countercurrentnews.com. You can find the original post here.